Alhamdulilah! 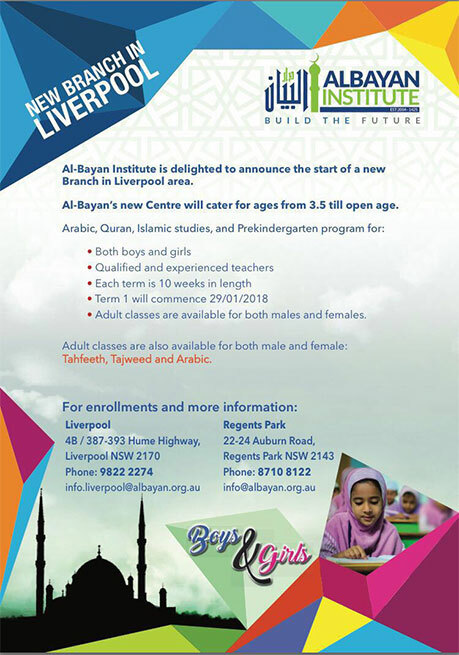 AlBayan Institute would like to officially announce the initiation of our most recent addition, our Liverpool Branch! Australia’s most prominent Arabic, Islamic and Quranic educational institute now has TWO branches!